← E-Virtuoses returns in 2012 May 23rd & 24th. Gamification has spread from marketing to learning and development, and at PIXELearning we’re often asked to design leader boards, badges and public rewards into the feedback mechanism of our Serious Games. I felt it might be a good time to take a moment to check out the pros and cons of gamifying feedback. 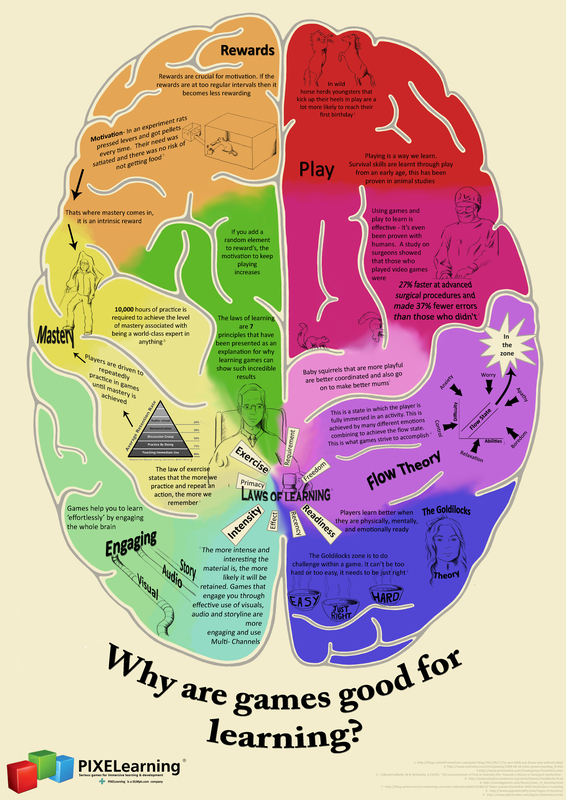 Who’s using Gamification for Learning and Development? This is about motivation- crucial for learning, so I’m going to go VERY briefly into a few theories and how they relate to this subject. 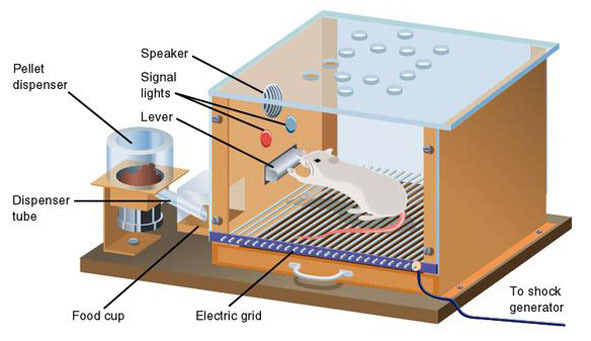 Skinner used external reinforcement to elicit behaviours from his animal subjects. He found that it was possible to condition human beings in the same way and that a variable rather than fixed reward schedule is more likely to maintain the desired behaviour, hence the addictive nature of gambling. The achievement points, badges and trophies of gamification are often compared to this model. 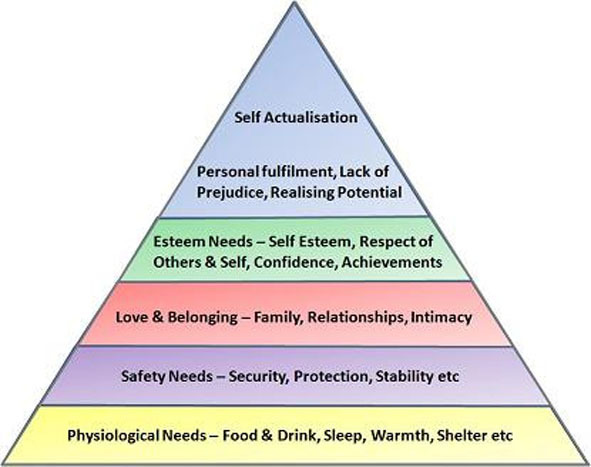 See illustration below, Maslow’s hierarchy of needs, stated that we must fulfil our basic needs at the bottom of the pyramid before we will get the urge to meet the higher level needs. The bottom four are deficiency needs, if they are not met we will experience anxiety. Earning badges and points and a strong position on a leader board could be said to meet our ‘Esteem’ needs, whereas creating sound opportunities for deep learning through games contributes to our Self Actualisation. Dan Pink, in his book “Drive”, goes further to say that beyond simple, algorithmic, if/ then tasks, rewards and incentives do not work but when tasks become more complicated and require conceptual thinking, true motivators are autonomy, purpose and mastery. This indicates that for marketing and customer loyalty schemes, the reward schemes of gamification have their place, but for learning which requires active cognitive engagement, good quality game design is more suited. What’s not to like? Isn’t Gamifying Feedback Just Harmless Fun? Perhaps it depends on how it is received. “Competitive motivation is oriented towards a goal in which the other competitors for the goal are secondary; (Desire to Win) is oriented toward another human being, whose worsting is the primary goal”7or as Gore Vidal put it “It is not enough to succeed, others must fail”. When we’re designing Serious Games, we want the games to arouse intrinsic motivation, though according to Self Determination Theory, the rewards may be used to encourage behavior initially and then gradually withdrawn as the behavior is internalized and the motivation becomes intrinsic. Psychology Professor Dr. Marty Covington has been researching the effects of classroom competition on academic motivation for several decades. He has found that creating competition over a limited number of high grades is unhelpful to motivation. The root of all academic motivation is to maintain and increase a sense of ‘self-worth’, those who feel that they cannot achieve the top grades, can successfully preserve their self –worth by not trying, thereby attributing their failure to lack of effort rather than lack of intelligence. There are plenty of other personality profiles, but one that seems very relevant is the Bartle Test of Gamer Psychology. It categorizes gamers into Achievers, Explorers, Socialisers and Killers. Achievers will strive to achieve rewards for no benefit other than prestige, and Killers thrive on competition with other players. Gamified feedback is likely to be more beneficial to these types than to the Explorers and Socialisers whose titles are self-explanatory. When deciding whether or not to use badges, achievements and leader boards for feedback, we need to consider the complexity of the learning material, and we need to consider our audience – ensuring that by designing a feedback system that satisfies the needs of the majority we are not alienated our (possibly most talented) minority. 8 Mark R. Lepper, David Greene and Richard Nisbet, “Undermining Children’s Intrinsic Interest with Extrinsic Reward; A Test of ‘Overjustification’ Hypothesis, ” Journal of Personality and Social Psychology 28, 1973, 129‐37. Science and Human Behavior, 1953. ISBN 0-02-929040-6. A free copy of this book (in a 1.6 MB .pdf file) may be downloaded at the B. F. Skinner Foundation BFSkinner.org. Reblogged this on Classroom Aid. I can haz badge now? 50 sheep, lots of caffeine and the number 68; some fun facts about PIXELearning! Understanding Games: Getting the most Bang for your Buck!